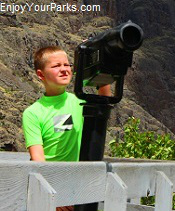 Hells Canyon National Recreation Area. 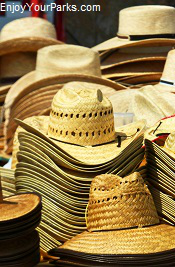 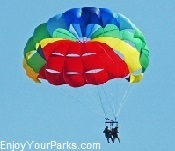 provides endless opportunities for vacationers to thoroughly enjoy. 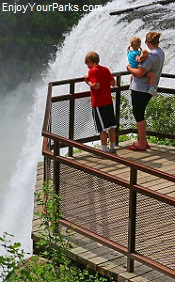 From outstanding outdoor recreational activities to amazing historical landmarks, Idaho is a Western vacationers paradise, and our goal in this section is to show you all of the Top Things To Do In Idaho so you and your family will know exactly where to go and what to do. 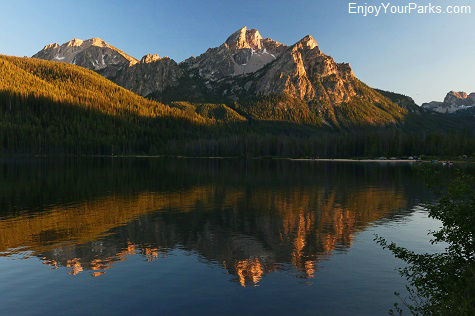 Located just west of Montana and Wyoming, Idaho is a mountainous state that lies in the direct path of the magnificent Rocky Mountains. 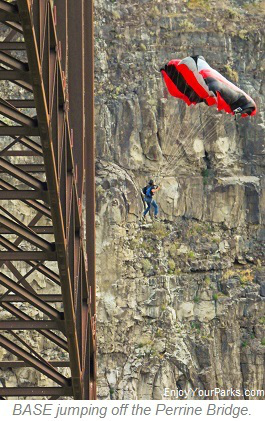 Idaho's northern border shares a 45 mile international border with British Columbia, Canada. 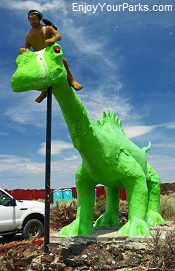 To the south of Idaho lies Nevada and Utah, and to the west lies the states of Washington and Oregon. 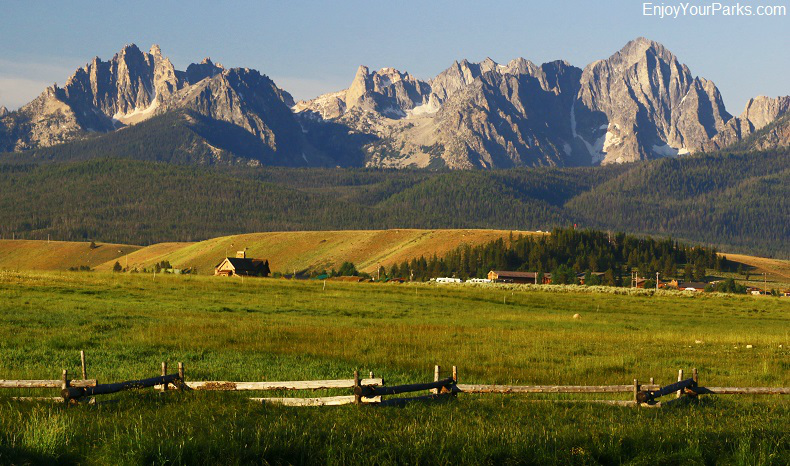 At 83,570 square miles in size, Idaho is the 14th largest state in the union, and is larger than the entire region of New England. 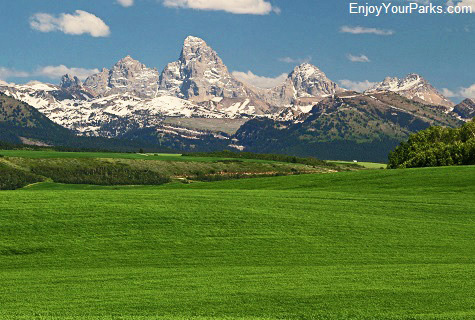 Idaho is 305 miles wide and 479 miles long, and is shaped similar to a pan with the handle sitting straight up to the north. 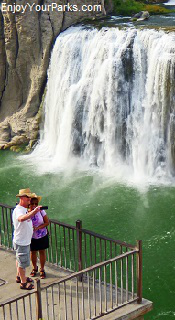 Shoshone Falls in Twin Falls Idaho. 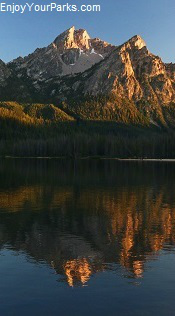 Stanley Lake in the Sawtooth National Recreation Area, Idaho. 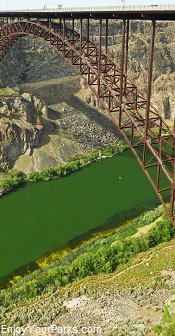 Even though Idaho is the 14th largest state in the union, it is the seventh least densely populated state and 39th with regard to total population. 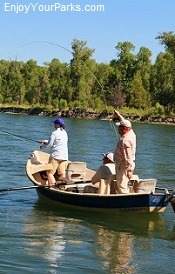 This means that much of Idaho is wide open spaces and vast areas of wilderness...which makes for a perfect situation for outdoor enthusiasts. 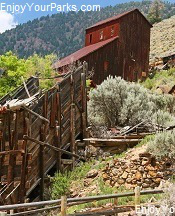 Idaho is nicknamed "The Gem State" because practically every known type of gemstone has been found here in their natural state. 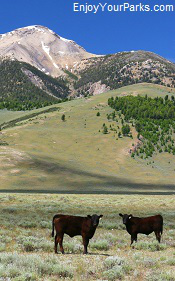 Among the rarest gems are the Star Garnets, which besides Idaho are found in only one other place on earth...which is India. 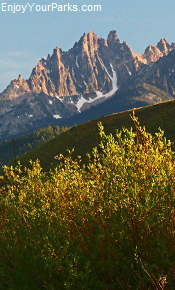 Another well-known nickname is "The Potato State" as the Idaho Potatoes are one of the state's largest crop and are known to be among the finest tasting potatoes in the country. 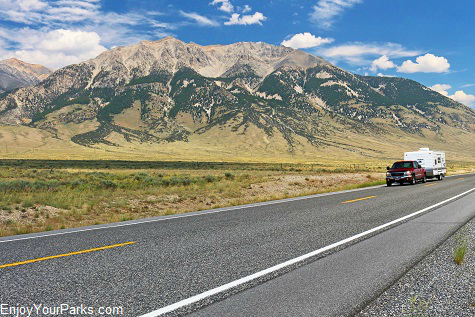 As you drive through the amazingly stunning landscape of Idaho, you will see vast areas of lush green fields...which are potato plants hiding their hidden treasure of potatoes just under the surface of the soil. 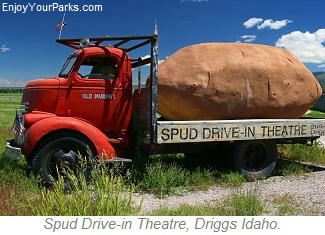 You will see the iconic "Famous Potatoes" on the Idaho license plates to remind visitors of their world-renowned potato crop. 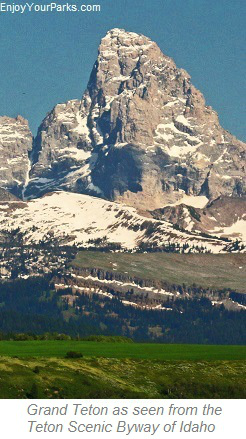 Potato field below the Teton Mountain Range near Driggs Idaho. 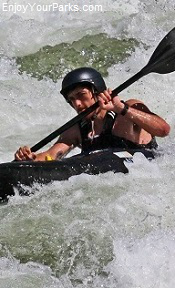 Another name that many folks have given the great state of Idaho is "The White Water State".... as Idaho has more miles of white water than any other state in the country. 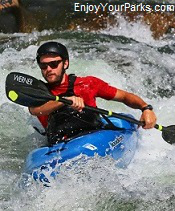 This famous white water includes the Lochsa River, which is home to some of the most treacherous white water in North America. 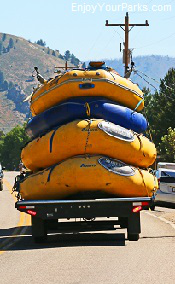 White water rafters on the Salmon River in Idaho. 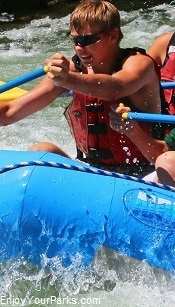 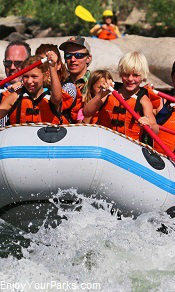 Throughout the "Idaho Top Attractions" section of our website, we will show you where the top places are in Idaho to enjoy some of the best white water rafting experiences in America. 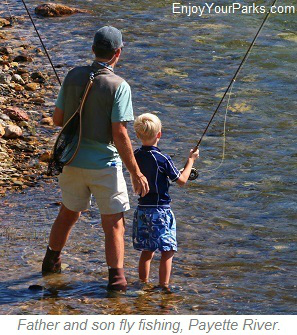 Among the many treasures that Idaho possesses for its visitors and locals alike are the absolutely incredible rivers that flow through this amazing state. 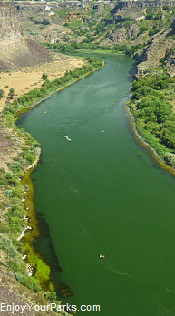 Idaho has over 3,100 miles of rivers, which is more than any other state in the lower 48. 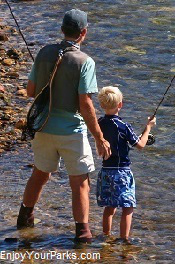 Of the 140+ rivers that flow through Idaho is the Salmon River is the longest free-flowing river that heads and flows within one state. 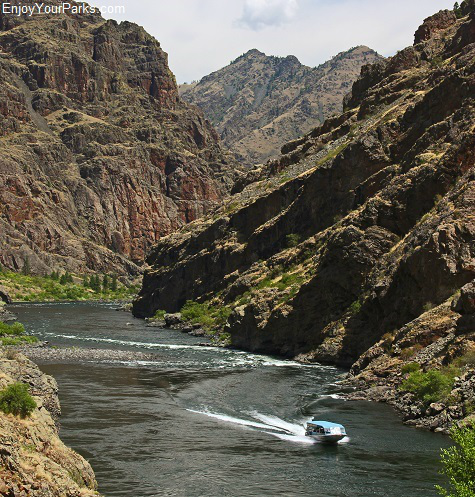 The Snake River is definitely one of the most famous and largest rivers in Idaho, where the Hells Canyon Area is the deepest gorge in North America at 7,900 feet deep. 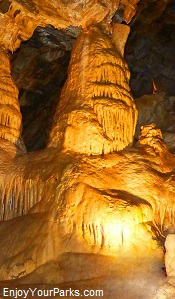 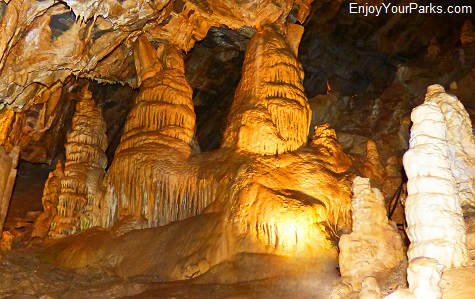 In fact, this magnificent gorge is 2,250 feet deeper than the Grand Canyon! 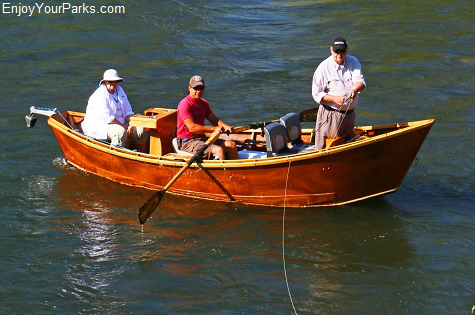 Drift boat fishermen on Salmon River in Idaho. 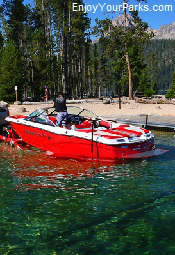 There are also many world-class lakes throughout Idaho which are meccas for water sport enthusiasts, such as Lake Coeur d'Alene, Lake Pend rway, Payette Lake, Redfish Lake, Bear Lake and many more. 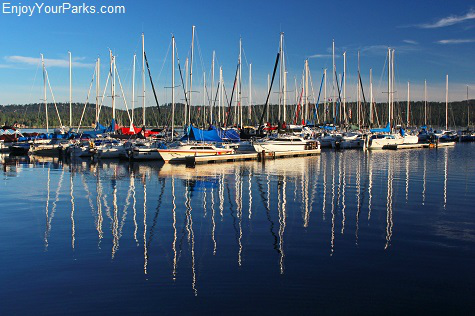 Boat dock at McCall, Idaho on Payette Lake. 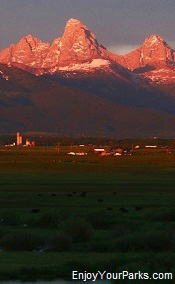 Idaho has 114 Named Mountain Ranges! 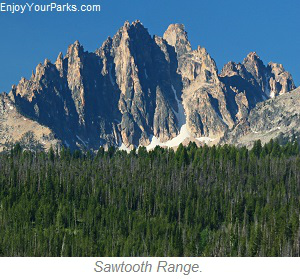 named mountain ranges, including the iconic Sawtooth Mountain Range, Selkirk Mountain Range, Lost River Range, Bitterroot Mountain Range and many, many more. 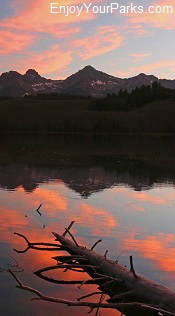 Found within the Salmon Mountain Range and Clearwater Mountain Range lies The Frank Church-River of No Return Wilderness, which at 2.367 million acres in size, represents the biggest contiguous federally managed wilderness in the lower 48 states. 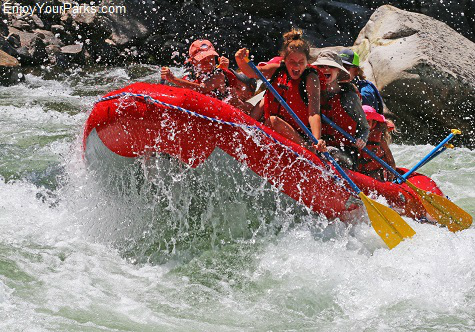 The Salmon River runs through this remote mountain paradise, which is a popular white water rafting destination in addition to being a popular way into and out of this incredibly wild area. 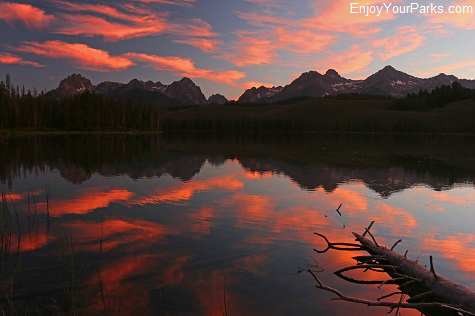 The Sawtooth Wilderness is another amazing wilderness area of Idaho that is breathtakingly beautiful. 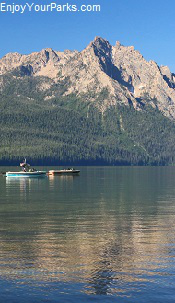 Redfish Lake near Stanley Idaho. 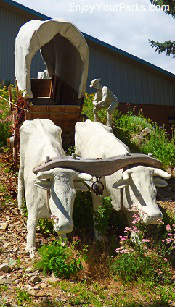 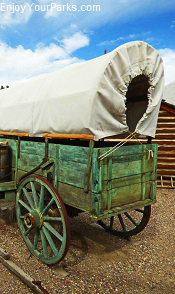 Idaho is rich in fascinating Western history including the early French-Canadian trappers of the early 1800s, and the brave pioneers of the Great Westward Expansion, and Gold and Silver Rushes of the 1800s. 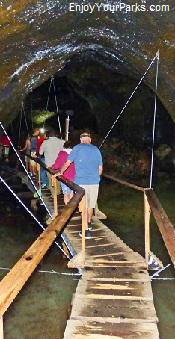 There is also of course centuries of Native American history that dates back as far as 14,500 years ago as revealed in the excavations found at the Wilson Butte Cave near Twin Falls. 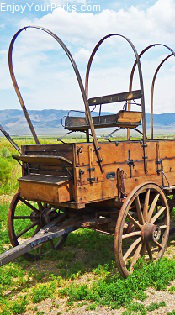 Discovered in 1959, these artifacts are among the oldest dated in North America. 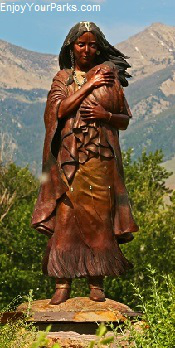 The two most prominent Native American peoples are the Nez Perce to the north and the Northern and Western Shoshone to the south. 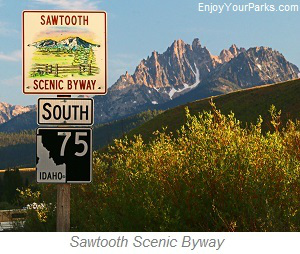 As vacationers drive through Idaho, there are seemingly endless historic points of interest along the scenic byways and highways along the sides of the road that will captivate the imagination of all ages. 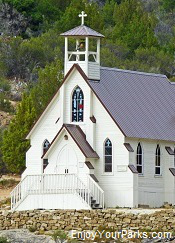 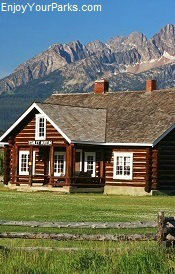 In this section of our website, we will show you some of the top historical places to discover and explore during your Idaho vacation. 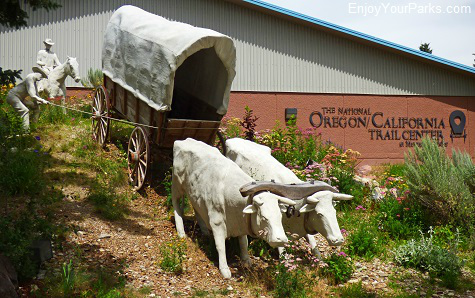 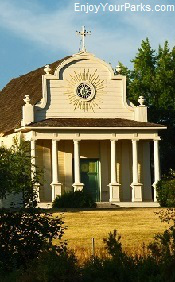 National Oregon / California Trail Center in Montpelier, Idaho. 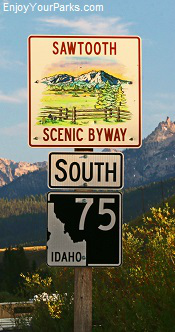 There are over 26 Scenic Byways and Backcountry Byways found throughout the state of Idaho...each of them beautiful and fascinating in their own unique way. 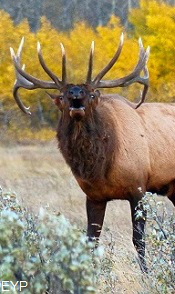 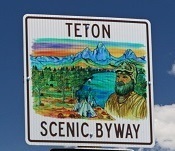 We will show you our favorite Idaho Scenic Byways that we feel are "must sees" during your Idaho vacation. 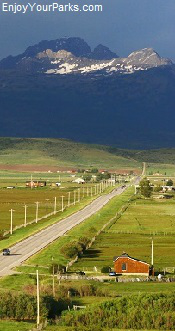 These amazing roads will take you through awe-inspiring scenery that you will never forget. 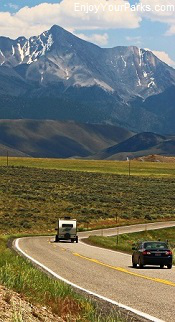 Peaks To Craters Scenic Byway, Idaho. 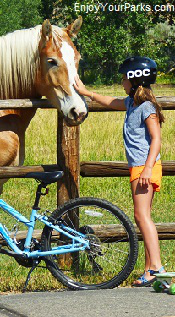 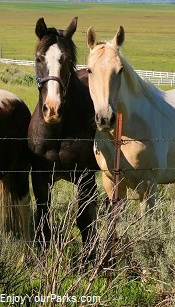 Visitors enjoying the horses at Sun Valley, Idaho. 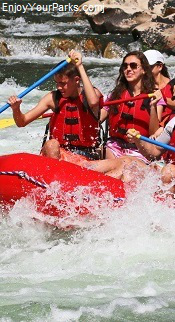 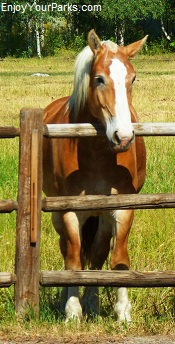 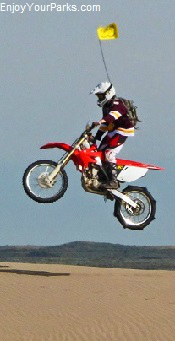 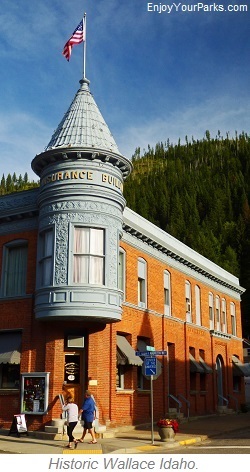 Our goal on this section of our website is to show you what we feel are the Top Idaho Attractions. 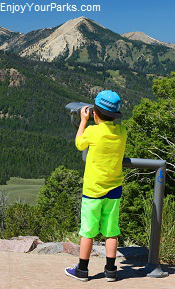 We've spent many, many years enjoying and exploring the great state of Idaho, and we are excited to share what we have discovered with you and your family. 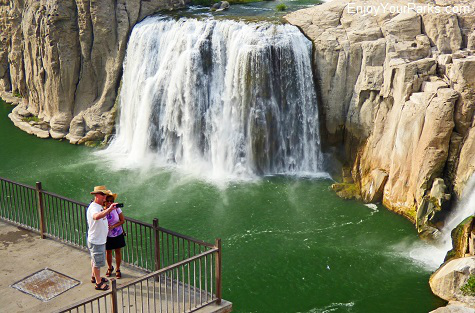 So take a look at our Idaho Top Attractions...you'll soon know exactly where to go and what to do during your Idaho vacation! 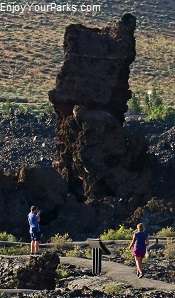 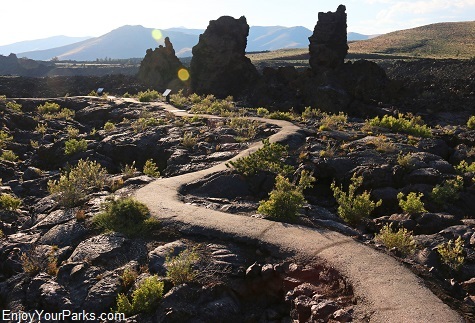 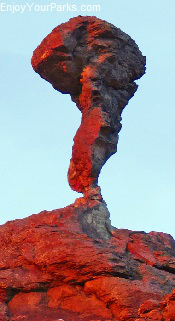 Craters of the Moon National Monument in Central Idaho. 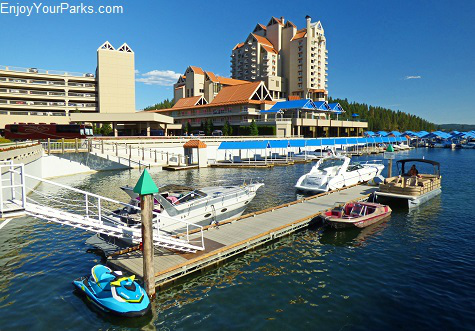 The resort town of Coeur d'Alene Idaho. 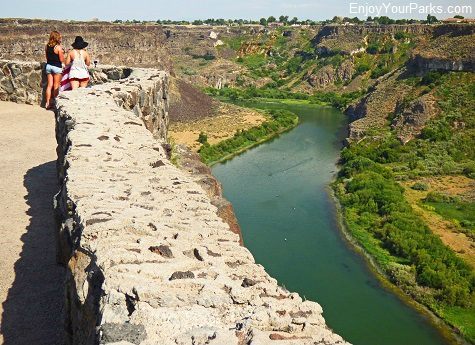 Snake River Canyon at Twin Falls, Idaho.